Mike, a magnificent stallion. In his prime. 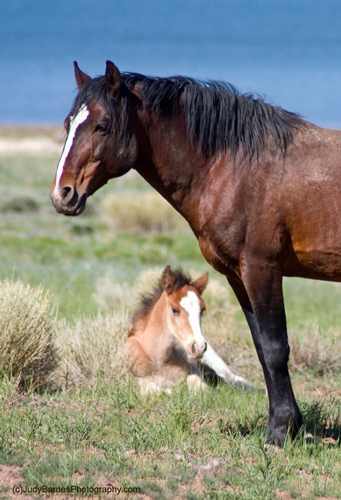 Mike was the patriarch stallion of Wild Horse Mesa. I thought he was amount the age of 20. But now I think he was closer to 25 to 30. 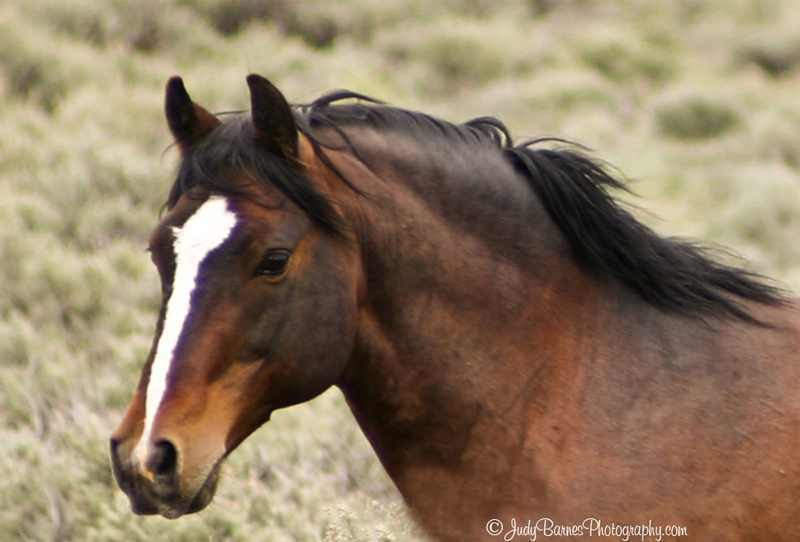 Mike was known as the Lake Band Stallion. He had a band of 17 mares and offspring. His territory was the west side of Sanchez Reservoir at the base of Wild Horse Mesa. Mike took great care of his family. In 2001, four years before I even moved to the mesa, I met Mike. Mike was the first horse that allowed me to sit and photograph him and his family. Many times I was the entertainment for the yearlings. They would slip up behind me and tug on my jacket or hair and as I turned around they would gallop off as fast as they could go, then turn around and see if I was following. Our games lasted around 30 minutes and then Mike would round up the family and head off in another direction. He would turn and look at me as if to say “that’s enough for today, see you next time”. Several years ago Mike had a battle with Lightening, a tough competitor that lived on the other side of the lake. Mike was injured in that confrontation and disappeared for many months to heal. His whole family was taken. He was never the same again. The last couple of years Mike hung out with the young bachelor stallions. Often nearby, but not with them. Four months ago, Mike left the bachelors and chose to be by himself. I knew he would be leaving us soon. Today I got a call that he was down. Mike was very weak and couldn’t get to his feet, even with help. I made the decision to put him down and set him free. Mike would not get close to humans, but he trusted me. I know he was OK with the decision I made on his behalf. He went down in a place where he knew I would be called. The mesa will not be the same without Mike. I love you Mike.